Welcome to WholesaleDiscs.com, we are one of the largest Wholesale CD and Wholesale DVD digital liquidators in the U.S.A. We specialize in the sale of bulk lots of DVD Movies and Music CDs. We offer a massive selection of bulk wholesale lots of CDs and Wholesale DVD Movies to fulfill all your digital media desires at a fraction of wholesale prices. 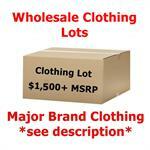 We can provide you with bulk lots of Wholesale Music CDs and Wholesale DVD Movies. From our Rap CD collections to our Country Music CDs, we offer all types of music CDs. If you are interested in Rock CDs, or the ever popular Jazz / Blues CD sets, or maybe you might like our Techno CD collections, or perhaps you are looking for R&B / Soul Music CD Collections, no matter what your interest we have the music CDs for you! Can't decide? Why not try an assortment of titles with one of our Mixed Genre CD lots. We truly have one of the largest varieties of liquidated CDs available anywhere. With our Movie Collections, we can supply the movie buff with a diverse supply of popular DVD titles. You can buy DVD lots by genre; as we have Action/Adventure DVDs, Family DVD sets, Children's DVD collections, , lots of Comedy DVDs, Drama DVD collections, and Horror DVD assortments. For the best value you can try one of our popular Mixed DVD sets containing our very best selling DVD's. Do you want to be a CD or DVD supplier or do you need a CD or DVD supplier, we have the CD and DVD lots that can meet your every business or personal need. We can even dropship our merchandise for you by offering you our unique wholesale dropship service. As your dropshipper we offer you the ability to have a reliable supplier for the CDs and DVDs you sell. Wholesale CDs and Wholesale DVDs! Hot Seller - 100 DVD and 200 CD Combo Lot - $189 with Free FedEx Shipping! All orders over $500 will receive 7% off their entire order! Simply enter coupon code: BIGSPENDER during checkout. 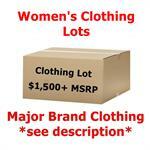 You will receive 1 large 60lb+- box stuffed full of customer returned Men's and Women's clothing. The mass majority of the clothing was returned because it didn't fit or because they simply changed their mind.